What a morning! 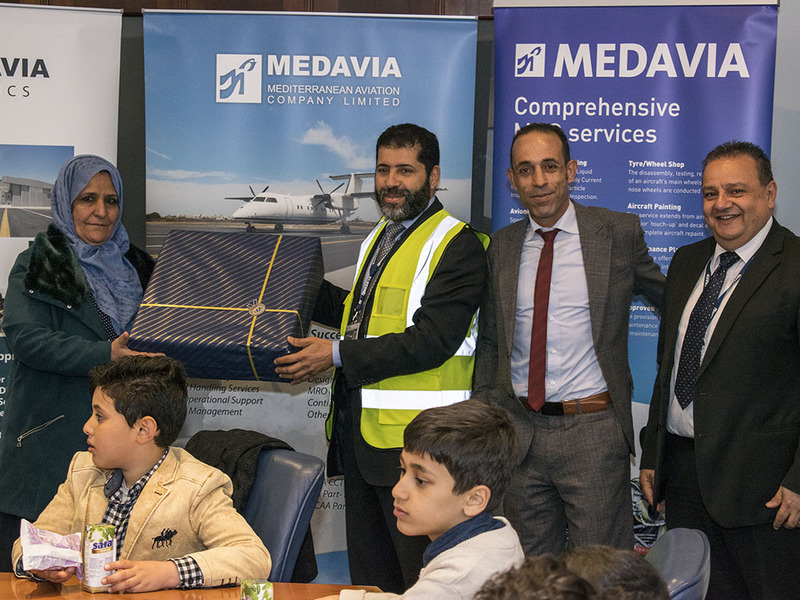 Medavia’s Managing Director, Mr. Rammah Ettir, welcomed children, aged 6 to 10 years, from 24th December Libyan School to experience a taste of what the aviation industry is all about. 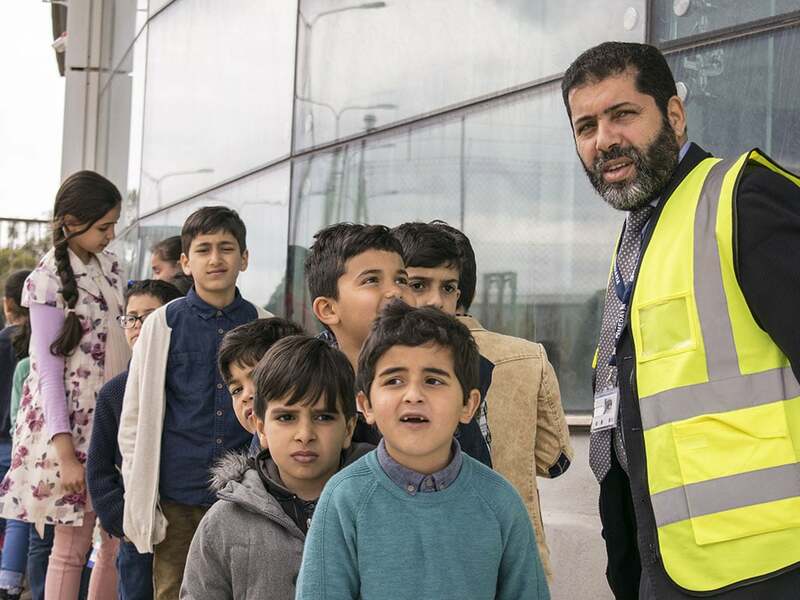 Upon their arrival, the school children all gathered round the Head Office board room table feeling a sense of importance as well as excitement while they were quizzed on aircraft by Mr. Ettir. This led to questions being posed by these amazing inquisitive young minds. They were then …escorted to the Hangar, where they had the opportunity to board one of Medavia’s aircraft and shown the different instruments inside the cockpit as well as being given an explanation of their functions. 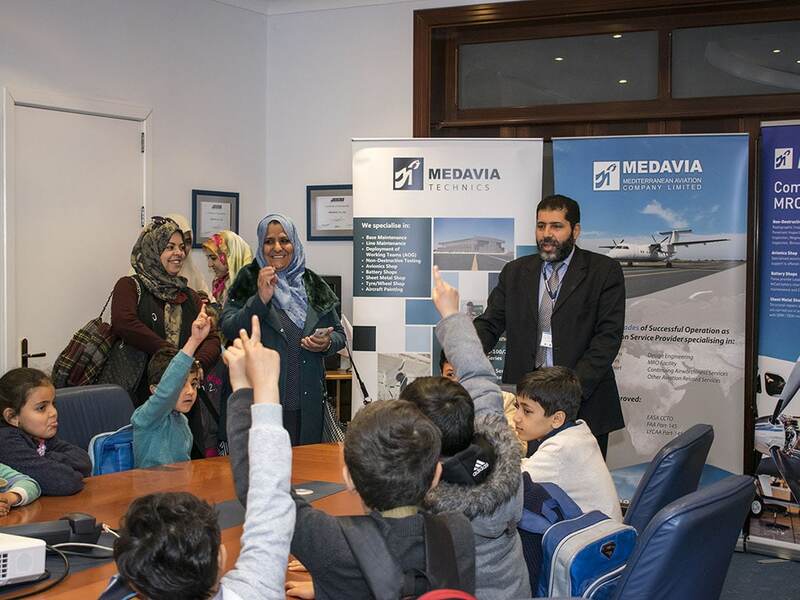 The morning ended back in the boardroom where Mr. Ettir presented each child with a goody bag including mementos of Medavia which were also given to the accompanying teaching staff. 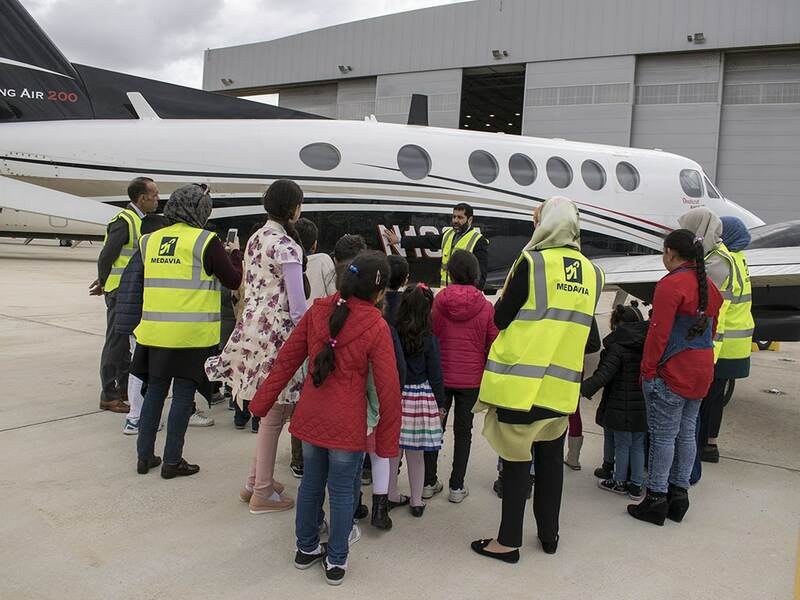 This experience has stirred an interest in aviation for all these promising young students with one boy telling us that he was a very anxious flyer but now he is determined to study so that he will eventually be able to fly an aircraft. Well you never know, he might end up being part of the next generation of Medavia pilots!